This weekend consists of 2 full day meetings on Saturday and Sunday that complement each other. The meetings may also be viewed separately without any problem. 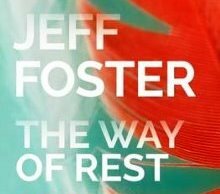 However, watching both days is highly recommended for those who wish for a deeper and more profound experience of resting in Presence. Enjoy the meeting live at home, AND get free on-demand access for a week afterwards! This weekend consists of 2 full day meetings on Saturday and Sunday that complement each other. The meetings may also be viewed separately without any problem. However, watching both days is highly recommended for those who wish for a deeper and more profound experience of resting in Presence. “Thank you for a wonderful day… I loved every minute of it! … Love, and lightness, that’s what I felt! The weight has fallen away, the seriousness of spirituality is gone… Surrender is the recognition that it is already allowed to give up, to let go, to not handle pain and not handle life, to not to have to cling … You were the “personification” of that surrender, of that allowance!” – A.B. “Such a lovely, life-enhancing day. This was my first experience of Jeff on a stage. He was a wonderful mix of wise, funny, compassionate and surprising. A truly heart-warming presence. A lovely audience too, who posed often challenging questions that Jeff answered with gentle and inspiring honesty. I’d recommend such an event to anyone drawn to non-duality and the spiritual path, or those simply curious about the true nature of love and reality. Thanks to Jeff and his team for a perfect day” – J.W. A group chat box will create the possibility for live stream viewers to chat with each other during the meeting. For privacy reasons muting of a question asked by a meeting participant can happen. In those cases Jeff will put an effort into repeating the participant’s part of the dialogue. “Thank you so much Jeff, I attended your talk yesterday although I experienced strong fear and resistance to it, but something in me was determined and so I came along anyway and brought it all with me. You melted my heart, I can’t see how anyone could not just love you completely, you are pure love and radiate those infinite depths where ever you go, you are a gift to the world. Thank you.” – D.P. To log in to your account, after having already registered for the Live Stream, please click here. Click the orange 'SIGN ME UP!' button. 1-week period after the live event is over.